If you are not excited about virtual reality yet, you should check out the Virtual Reality Game Hellblade 360° video teaser. We are just in the beginning stage of virtual reality. Think of virtual reality at the moment, as smartphones back in the 90’s. 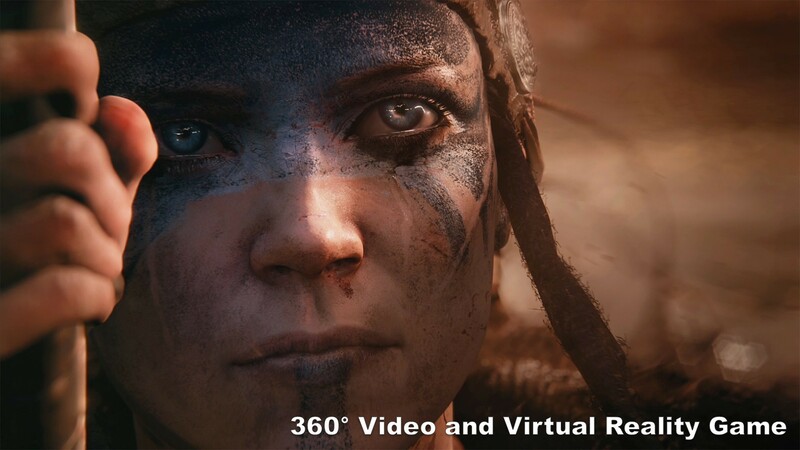 Then take a look at the Hellblade 360° virtual reality video game that is being developed, and you will be amazed. It is hard to imagine where virtual reality is going to be in 10 years from now, but from the looks of it, things in virtual reality is going to get so real, that it is going to be hard to distinguish what is real and what is not real. Hellblade: Senua’s Sacrifice is an upcoming video game being developed and published by Ninja Theory for Microsoft Windows and PlayStation 4. The game is set for release in 2016. The story is based on Celtic myth. The game is focused on Senua’s (Melina Juergens) point of view, as she embarks on a very personal journey through a hellish underworld made up of Senua’s psychotic manifestations of her own reality and mind. The Hellblade Senua’s Sacrifice is still in early development and Ninja Theory is calling Hellblade an “independent AAA” game, by which they mean that it will be developed and published independently but with all the quality and production values of any AAA game on the market. According to Ninja Theory, over the course of the last 14 years they have developed three key strengths that define their games: ninja-class combat, strong character stories, and a unique art vision. In Hellblade they want to take these three key strengths to the next level. Hellblade will be an experience focused on delivering a deep character in a twisted world, with brutal uncompromising combat. The game was announced at Sony’s Gamescom 2014 media briefing on August 12, 2014, where a trailer was shown. Hugues Giboire, who is the art director of previous Ninja Theory game Heavenly Sword, also returned to work on the game. A Microsoft Windows version of the game was announced on 9 January 2015. Ninja Theory said they are considering 4K resolution and mod support for the Windows version. Hellblade is being worked on by 15 people from Ninja Theory as of early September 2015. According to the development team, the game’s development was started “afresh”, and some of the game’s original ideas were retired. The game’s official title, Hellblade: Senua’s Sacrifice, was announced in March 2016. By the looks of it the game is going to be awesome, and might just be the best virtual reality action game for 2016/2017! I can’t wait to get my hands on the game!